A Global Teacher Prize Concert where famous pop artists thanked teachers for their unsung work. A US $1 million award presented annually to an exceptional teacher who has made an outstanding contribution to their profession. Find out more about our incredible winners and the work they do from the last four years. Meet the extraordinary top 50 finalists of the Global Teacher Prize from the past four years. They are paving the way to ensure that all children get a good education. Ready photos, videos and press releases. The success of the Global Teacher Prize has inspired countries around the world to set up their own awards to find and honour their best teachers. CEO of Spiegel Online the leading German news site, where she is responsible for the commercial aspects and the long-term strategic development of the company. 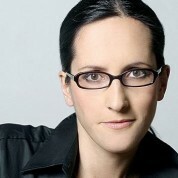 Previously she was Editor-in-Chief and Director Online of the WAZ Media Group, which owns daily papers, magazines and TV stations across Germany and Eastern Europe. In the early days of the internet she worked as an independent writer focusing on technology and the socio-political implications of the digital age. She was one of the best known German-speaking bloggers, winning several awards and was named “Young Journalist of the Year” in 2006. Before succumbing to the lure of all things digital she studied law and undertook humanitarian work in Africa and post-war Bosnia.